Man Utd boss Jose Mourinho reportedly wants to secure the futures of four key players with expiring contracts. Luke Shaw, Ashley Young, Juan Mata and Ander Herrera will all see their current deals come to an end at the end of the season, thus leaving the threat of seeing them on free transfers open. 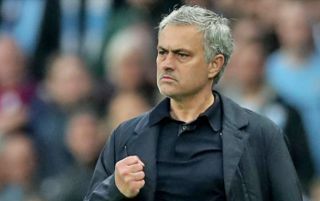 In turn, it’s claimed by The Express that Mourinho is eager to see the quartet pen new deals, whether that’s with the plan for them to be influential moving forward or perhaps to strengthen the club’s position at least if they wish to sell and so to avoid losing them for nothing. All four arguably still have a role to play for the Portuguese tactician, especially Shaw who has seemingly proven his worth to start the season and has impressed. Although, he’ll hope that the injury setback he suffered while on England duty last week doesn’t now cost him, as he’s expected to miss the clash with Watford on Saturday due to the ongoing affects of his head injury. Meanwhile, Young, Mata and Herrera aren’t necessarily regular starters anymore, but what they do provide is quality depth for Mourinho, especially given Man Utd are looking to compete on various fronts and he’ll need options at his disposal to rotate. Losing all three at the end of the season would undoubtedly leave the Red Devils light, and that would then surely force them to act in the transfer market to fill the gaps left behind by the trio. With that in mind, it seemingly makes more sense to keep them at Old Trafford as they all arguably can still play a key role, but time will tell if new contracts are wrapped up sooner rather than later as the quartet can also start discussions with other clubs about a move next summer from January onwards.